Top 5 Reasons to Use iMD with Your Patients – Every Day! iMD was designed with you – the healthcare practitioner – in mind. We want to make your job easier by helping you to navigate complex medical discussions with your patients. How can we help? 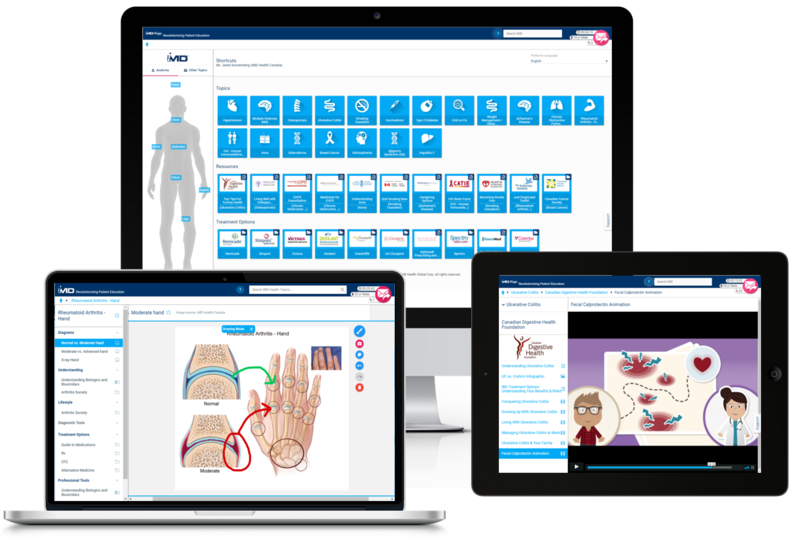 Well, with a library of thousands of visual resources (think diagrams, videos and digital info sheets) covering 1800+ health conditions and procedures, we give you everything you need to better engage with your patients about their health; in one easy-to-use app. Read on to find out why you should be using the iMD Platform with your patients, every day! Or, sign in to your account now! 1. Help your patients better understand their diagnoses. Patients are more likely to understand complex health information when they have the opportunity to learn visually. Use iMD’s library of visual resources to walk patients through diagnosis and treatment discussions. 2. Save valuable consultation time. iMD’s structured patient flow enables you to provide patients with enhanced in-clinic experiences without increasing consultation length. 3. Improve patient compliance to treatment plans. When patients understand their health conditions, they are more likely to want to make positive changes for their health. Patient education via iMD is the first step! 4. Say goodbye to Dr. Google. Point your patients to the right information – iMD’s resources are provided by our trusted health organization partners. 5. Extend your clinic’s reach. iMD enables you to email resources home with patients for further review, which contributes to increased understanding and compliance. Secure, no-reply functionality. SIGN IN to your account today to see what you’ve been missing! Don’t have an iMD account yet? SIGN UP for free!